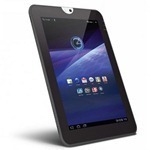 We are working hard to bring Android 4.0, Ice Cream Sandwich to our Thrive tablets. While we originally estimated it would be ready this spring, we now estimate the update will be delivered to all Thrive 10” and 7” tablets by early fall. Apologies for any inconvenience and thank you for your patience. So, by "working hard" he means "not really," I assume. And by "early fall," he means "when / if we get around to it." Manufacturers, here's the way you should handle OS updates on your aging hardware: do it, or don't. Don't say you're going to and then get distracted making other mediocre tablets of questionable quality. When an Android OS update is announced, sit down and decide which of your products are actually worth updating, and then rip the proverbial bandage off and announce the ones that aren't. Then, get on the updating process as soon as possible. Your customers will at least appreciate the honesty, and those getting updates will be delighted at a quicker turnaround. That's how you build a reputation. Instead, what's likely happened here is that one poor, sad soul at Toshiba had been charged with this task along with 20 others, and that person just quit. I can't say I'd blame them. Anyway, it's entirely possible Toshiba will make good on this "early fall" estimate, but you'd probably be better off just selling your Thrive / Thrive 7 and buying Google's tablet next week, because Toshiba's going to be two major versions behind at that point.